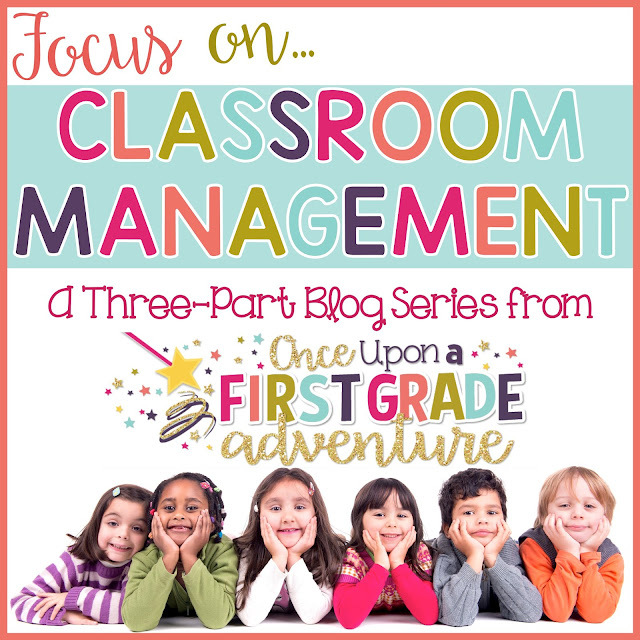 *Updated February 2016* If you would like to read my new Three Part Series on Classroom Management for updated tips and FREEBIES, please click the photo below. Otherwise, scroll on down for this original post. Thanks for stopping by and Happy Teaching! The Lesson Plan Diva is hosting a Behavior Plans and Classroom Management Linky Party...Click HERE to check it out! I've only been teaching for four years, but in this short period of time, my classroom management style has changed drastically. My first year, I used a card pulling system, and my second year I used some counting techniques in addition to that. Half way through my second year, I stumbled upon some information about responsive classroom techniques and positive discipline on Proteacher. After trying out some new ideas, I have finally found my management style, and I love it! Nowadays, my classroom management is centered around daily classroom meetings and problem-solving. My students learn to monitor and change their own behavior through role-playing, responding to literature, and lots of student-centered conversation about the way we want our classroom to be. We no longer use cards, clips, rewards, or punishments, and the result has been much less stress for me:). At the beginning of the year, my students and I first talk about our hopes and dreams for the school year. We talk about the kind of classroom we want to have, and then we discuss a plan for creating that environment. We make our class rules through a series of discussions and brainstorming sessions. First, I have my students list all of the rules they think we might want to have in our room. Then, we go back and categorize the rules. Most of our rules fit under the same broad categories, so my rules are pretty similar from year to year. After giving each category of rules a title, we phrase the rules into "Our Class Promise," which is hung as an anchor chart and signed by everyone in the class (including me). The picture above is of our class promise from a few years ago--I wasn't as specific with it then. When we have problems in the classroom, I try to address them as respectfully as possible, and this can occur in a number of ways. Sometimes, I'll simply ask the child to remember our promise, and this will provide immediate correction. Sometimes, I'll ask a child to cool-down for a minute to reflect on his or her actions. This cool-down is not a punishment, but just a time to rethink, and the students are welcome to rejoin the class when they feel ready. Students sometimes go to cool-down without my asking--this works well for those who need a quiet time to reflect or avoid frustration. In solving behavior problems, I'll also sometimes ask a student if he or she wants the class to help him or her solve the problem, and we'll address it as a class during our daily meeting. The students practice "helping, not hurting," so this is the focus, rather than making the child feel bad. I also use logical consequences such as going back and walking when a student does something like running in the hall. During class meetings, we usually read our promise, share compliments and appreciations, solve any problems the kiddos are having, and do a team-building exercise. We might also read a story focusing on character education, or have a mini-lesson. 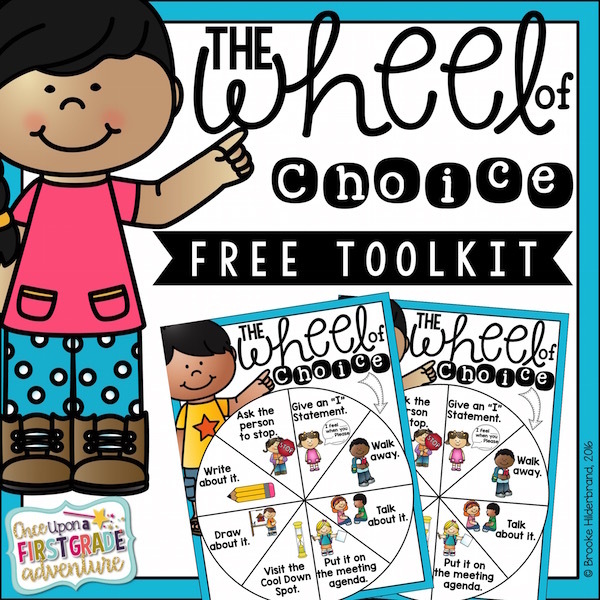 The students learn things such as how to tell the difference between tattling and reporting, how to make I-statements, how to help friends solve problems, and how to use "The Wheel of Choice" to solve a problem. If a student has severe issues that cannot be solved during class meetings, I create a modified behavior plan for that child. This is a plan that involves the teacher, the student, and his or her parents. It takes some effort to stick with it, but I have found it really effective in helping students make positive changes. Here is what you do...talk to the parents and child about three small goals that you would like him or her to focus on. Also discuss a logical consequence that will occur if the child does not exhibit the particular behavior. Furthermore, discuss three rewards the child might like to earn if he or she reaches the goal. Record these items on the behavior chart. During class, monitor the child's behavior in regards to the goals and give him or her a smiley/sad face for every 30 minutes during the school day (I set a timer on the child's desk). 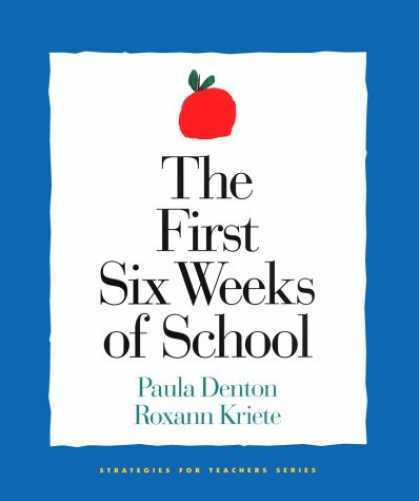 In the first two weeks of using the plan, I ask the child to try for 50% achievement. If he or she is consistent in getting 50% smilies, we increase the goal to 75% for a few weeks, and then 95% for another couple of weeks. Each day the child reaches his or her goal, allow him or her to choose one of his or her rewards. I like to use free activities as rewards such as lunch with a friend, computer time, or extra centers time. The behavior plan is sent home each day and returned with a parent signature and comments as necessary. Because this plan involves teacher effort in monitoring and recording the student behavior, I usually only use this plan with one or two children at a time for about a 2 month period, as needed. I try to remember that the goal is improvement and not perfection, and that it takes time for the students to learn new behaviors. I know that was a ton of info at once, and really just a big overview, so if you want to learn more about classroom meetings, positive discipline, or responsive classroom techniques, see these wonderful resources, or feel free to ask specific questions and I'll do my best to answer! Also, if you'd like to use any of my documents, you are welcome to click on the pictures above to download them from google docs. Ok- last year I really wanted to do a class promise, but for the first 2-4 days of school, I had about half my class there and new ones coming in every day... I was waiting for them all to get there. Then I felt if I waited any longer there might be chaos! So I introduced my rules, wheel of choice, and penny reward system instead. It worked pretty well. Can you tell me more about your "class meeting agenda"? I'm intrigued! I love this idea! It seems like a wonderful way to help students become problem solvers. I need to add this to my schedule next school year. Do you know of any other way to have strats with school grade children? I do a promise too! We also have a district behavior goal and we link it together: respect, responsibility and honesty. We spend A LOT of time working on it and our goal is to have a safe and fun classroom for everyone to learn in! Thank you so much for sharing these! I just printed copies for all the kinder teachers at my school! I know you wrote this post a long time ago, but I was wondering when do you have your class meetings? 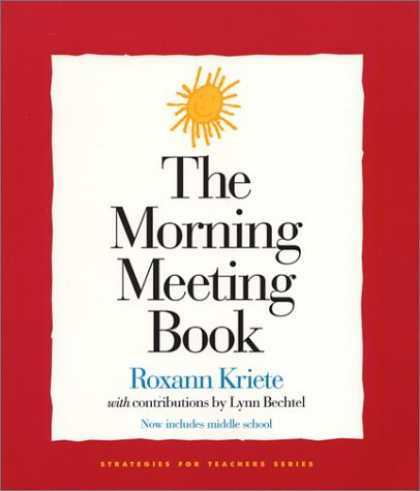 Is it always in the morning and do you think it matters at what time of the day you hold the meetings? I just had one of those moments as a learner where everything just made sense. This how every classroom should be managed. The responsive classroom is an amazing program. How can we get families more involve in using these strategies at home? That would really help a lot of children. Keep up the awesome work you do. 1/ CARLOS DE ASSUMPÇÃO - The biggest black poet in the history of Brazil author of the poem the National Anthem PROTEST fight the Afro-Brazilian Black Consciousness in conclusion completed 87 years of life. CARLOS DE ASSUMPÇÃO was born May 23, 1927 in Tietê-SP in last Friday completed 87 years of life with your family, friends and us of BLACK NATIONAL ORGANIZATION FOUNDED QUILOMBO ONNQ 20/11/1970 (And several entities and admirers congratulate the birthday 87 year old master black poet Carlos Assumption) had the proud honor and pleasure to call the historical person wishing happiness, health and Assunpção thank Charles for his giant work, especially the protest poem which for many is the biggest and most significant poem of Afro Brazilian National Anthem of blacks. "Protest" is the most emblematic poem of Brazilian Afros and a Black America, slavery in their pain and scars contemporary pragmatics of permanent unconsciousness high society perverse in the Poem "The Protestor" was released in 1958, in the joy of Brazil champion football, but there were improprieties and Brazilian people was poorly conditioned and today the Football World Cup in Brazil 2014 poem "Protest" by Carlos de Assunpção is more alive with the people in revolution to (Fall of the Bas. Brasil.tilha) reivindicatórias the demonstrations out of economic social justice of the Brazilian people awakening in the reflection of the protest alive. To make me shut up. Wonderful things to solve the problems and have techniques or ways to manage the classroom. Thank you for your suggestion. I love it.